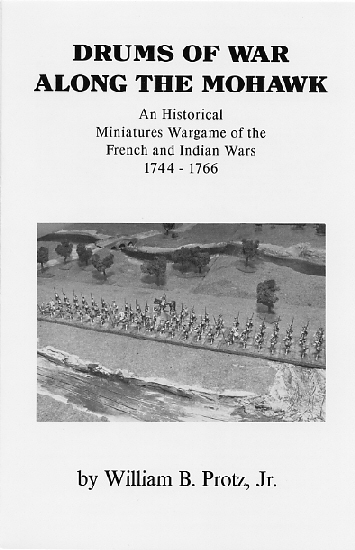 An historical miniatures wargame for the French and Indian Wars 1744-1766. 48 pages, 7 chapters, 1 appendix, Quick Reference Charts, photographs and diagrams. Original and newer Quick Reference Charts. Skirmish, multi-brigade or frontier siege wargames for 20mm-40mm miniatures. North American linear warfare in all its permutations. Win the continent for your Sovereign or Woodland Indian brothers.